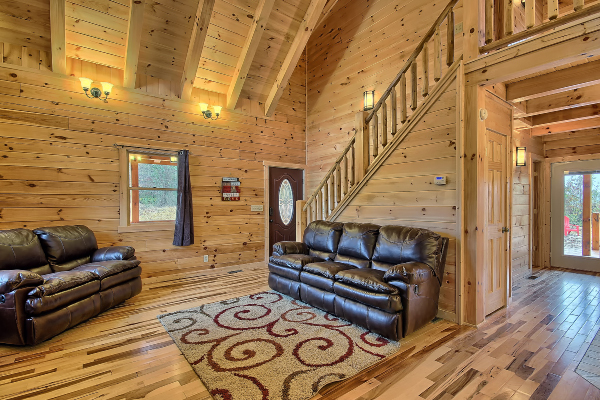 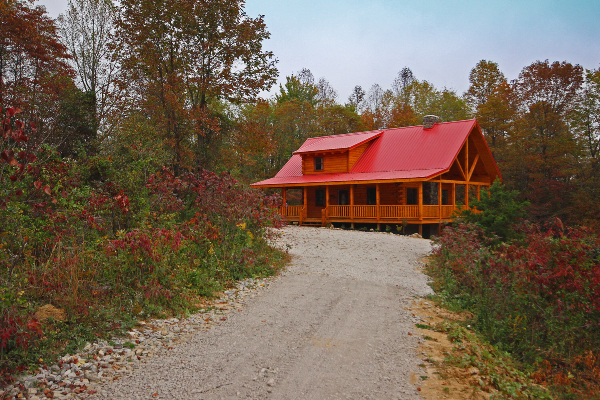 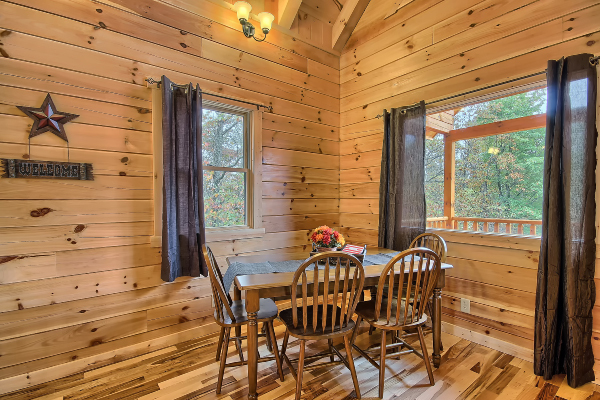 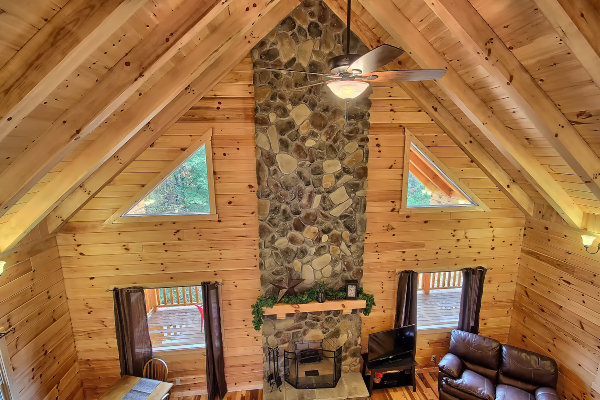 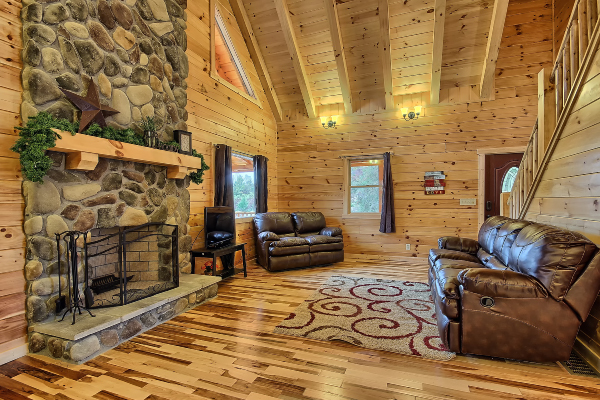 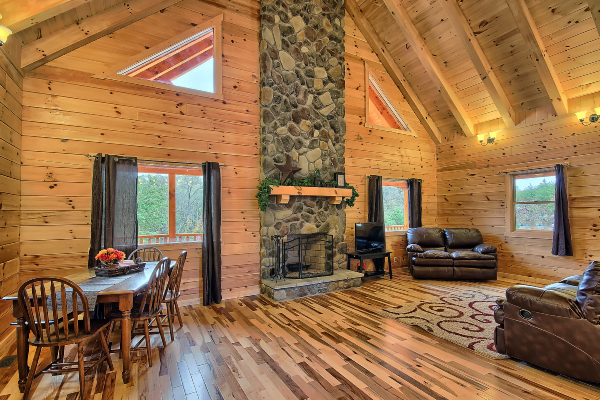 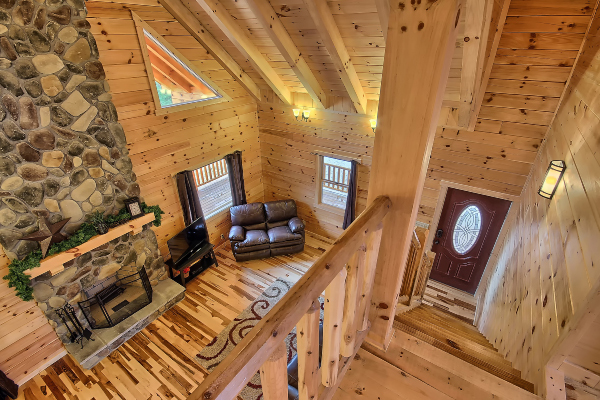 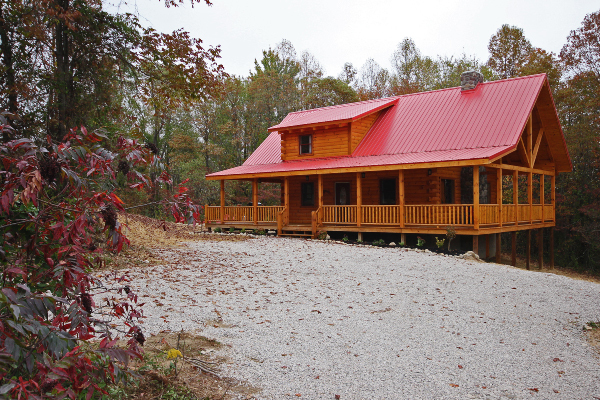 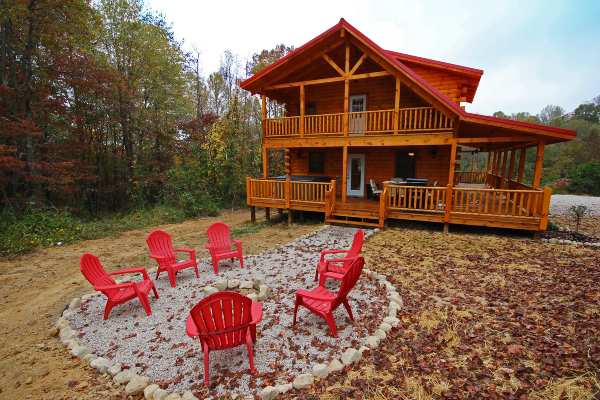 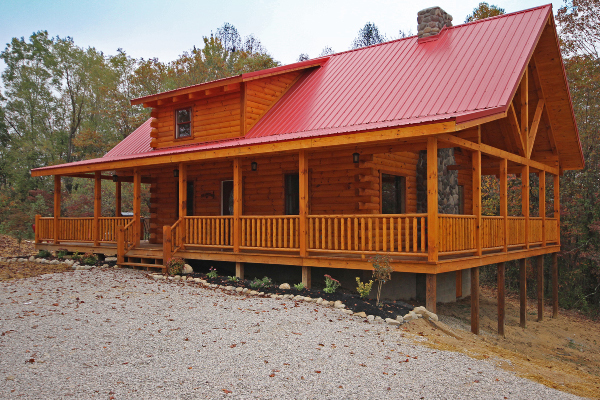 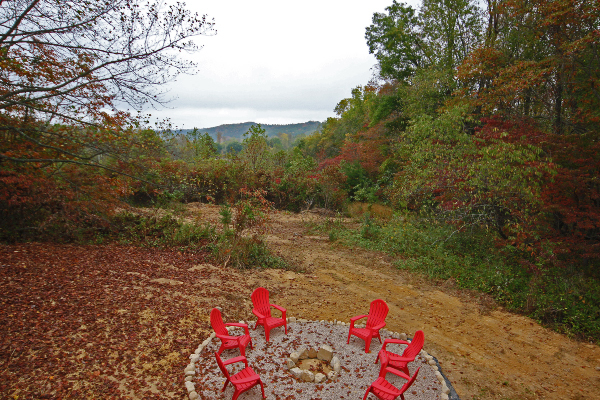 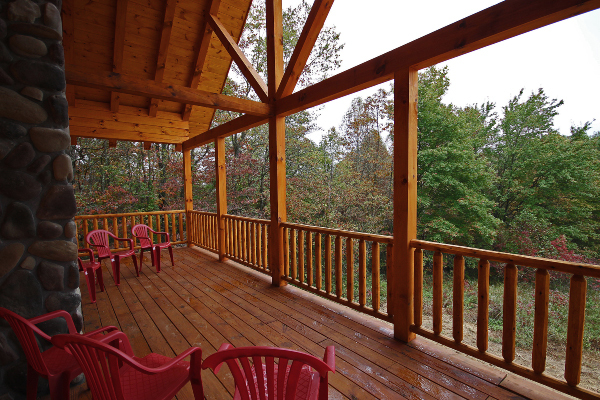 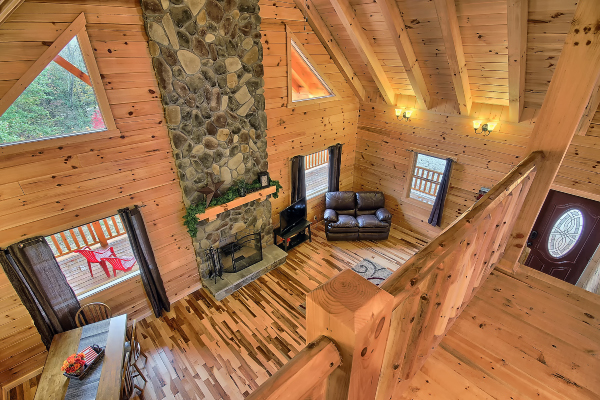 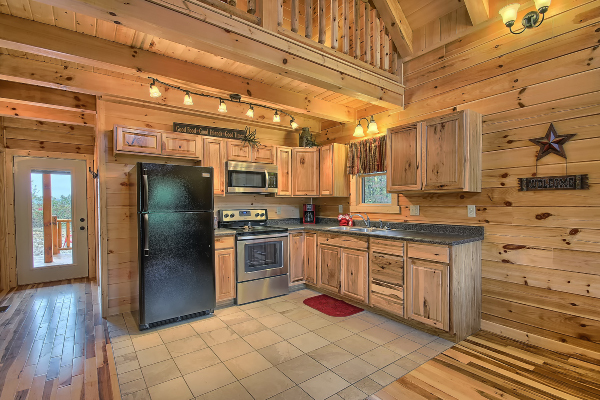 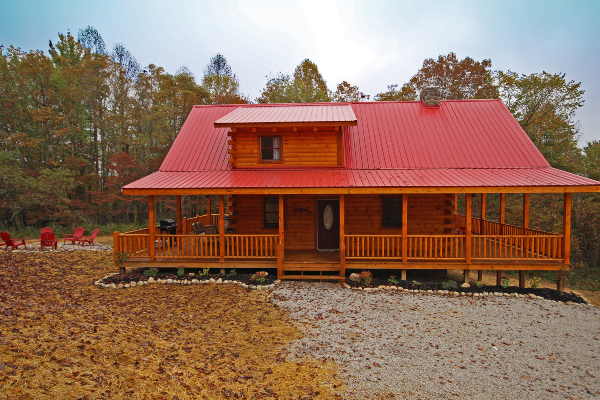 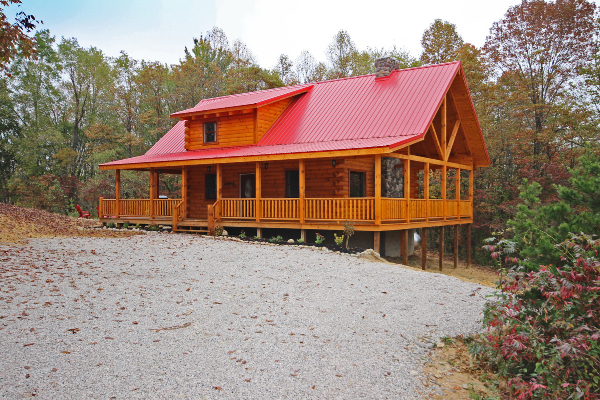 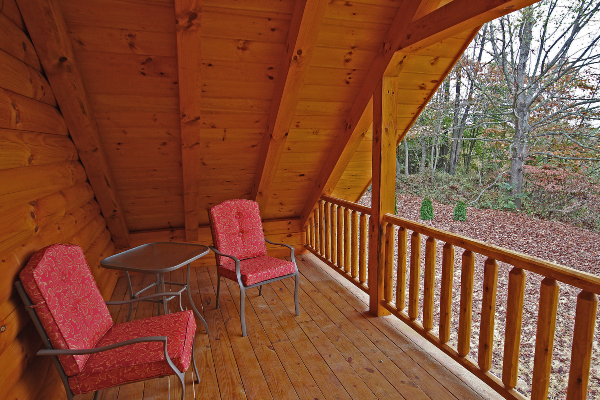 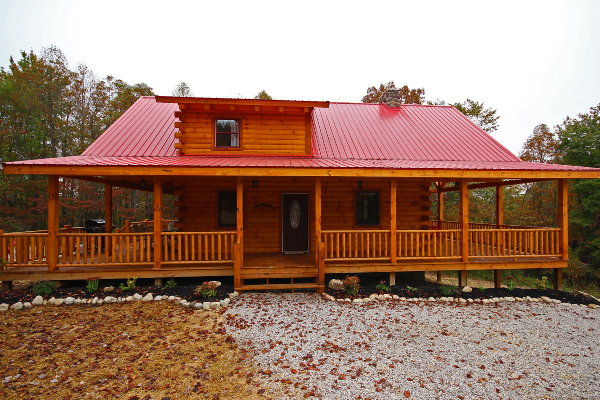 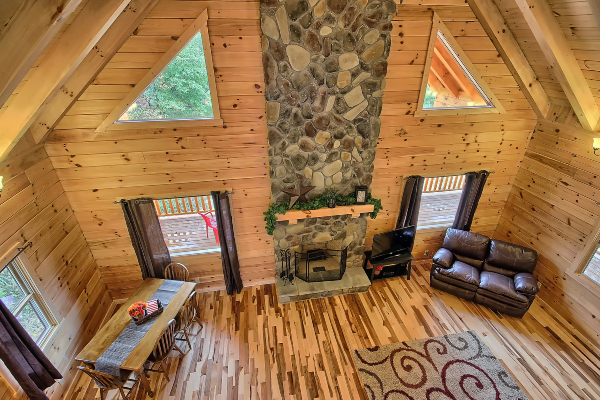 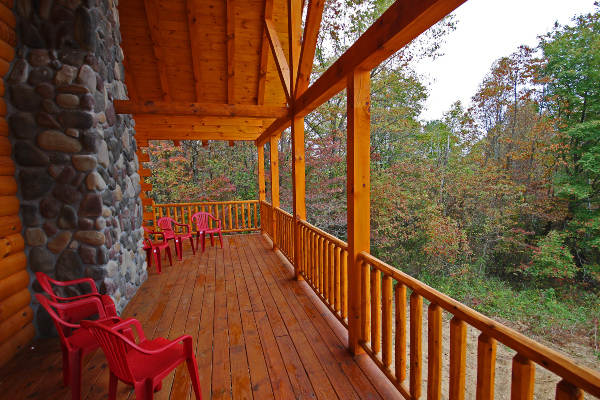 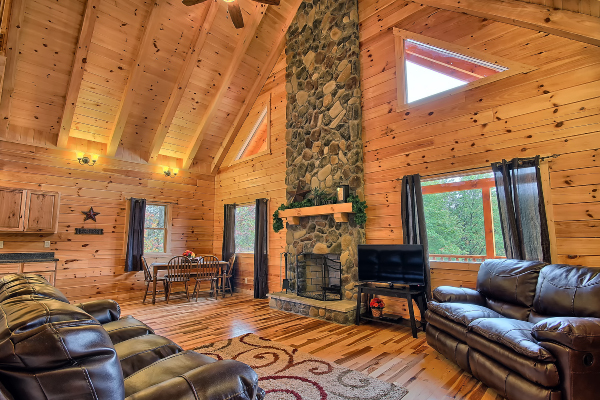 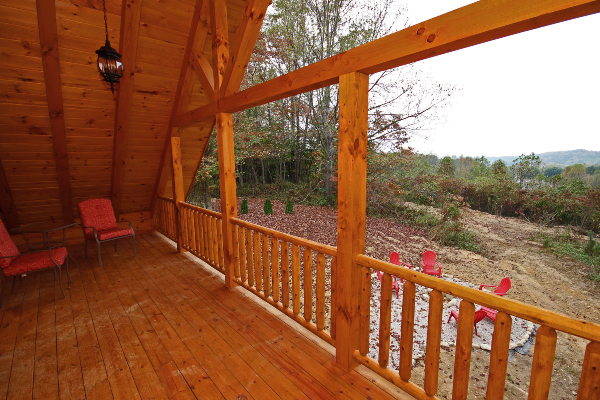 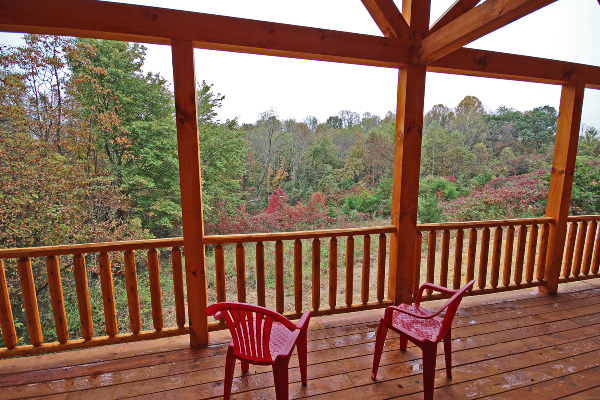 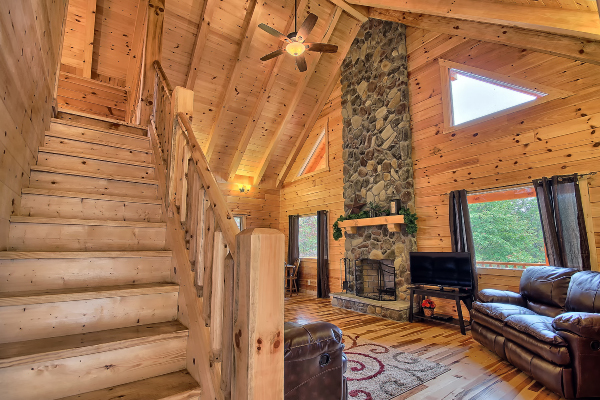 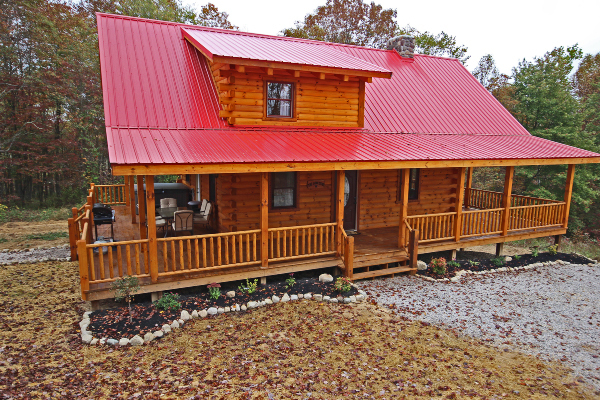 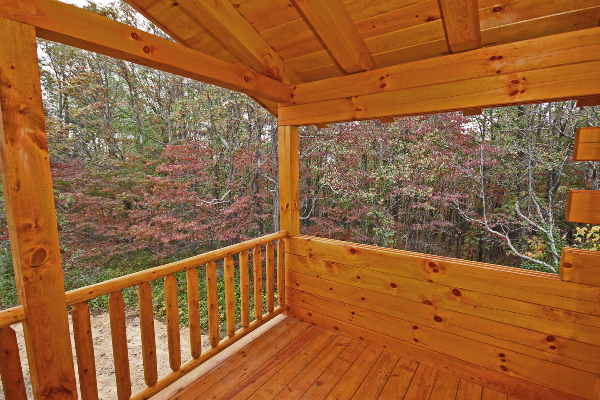 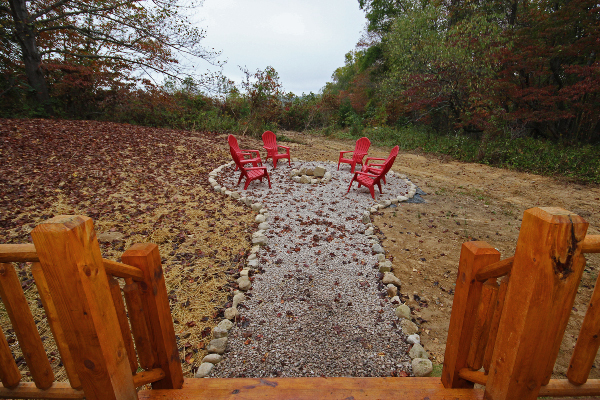 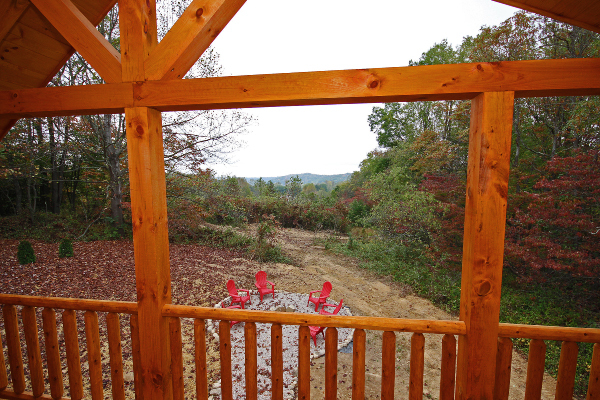 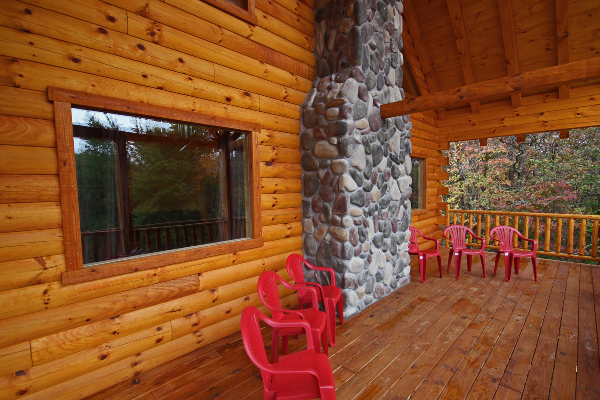 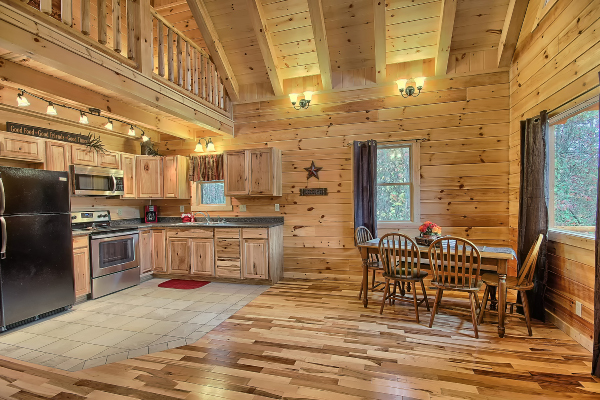 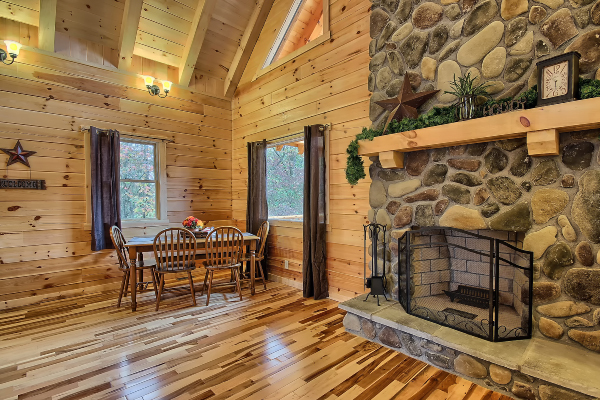 Recently built 6 person cabin with everything you are looking for located on 15 secluded acres with a gorgeous view! 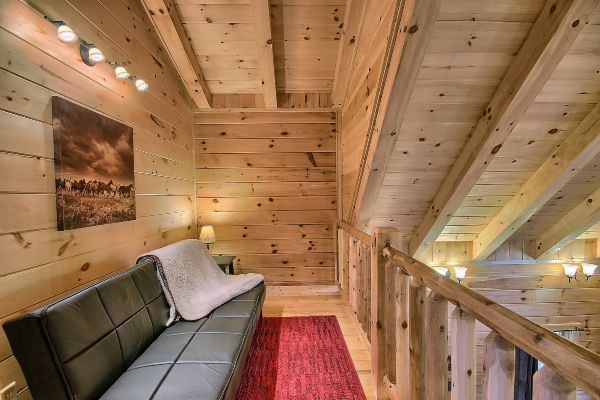 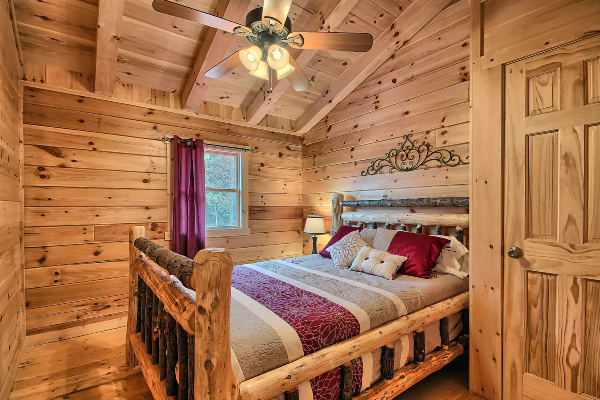 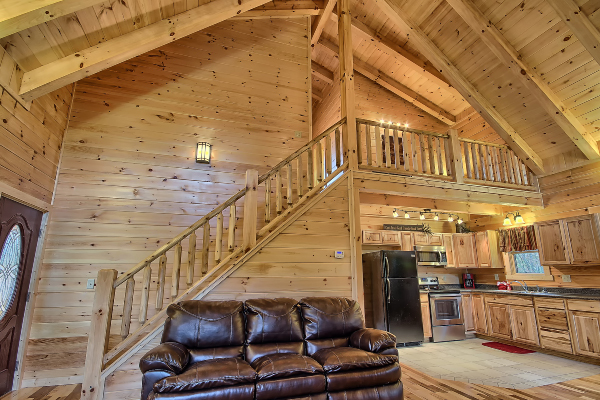 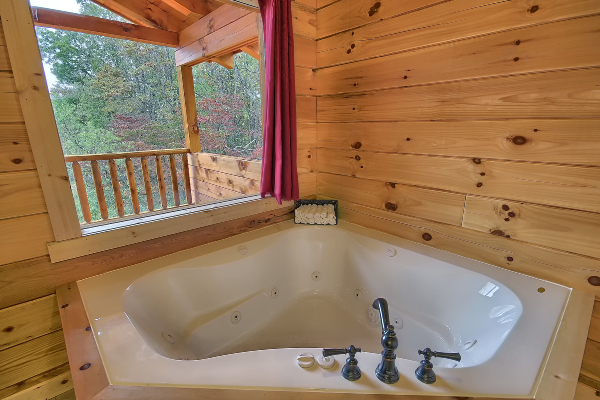 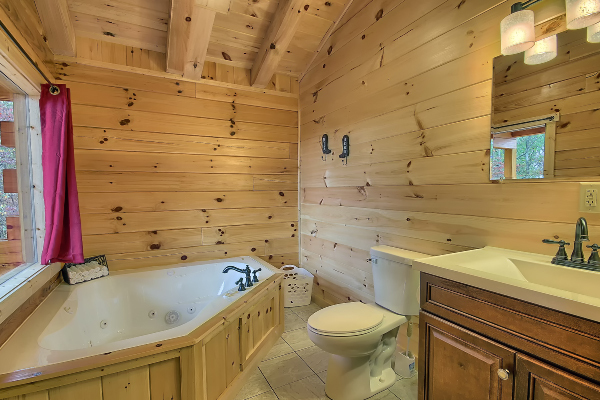 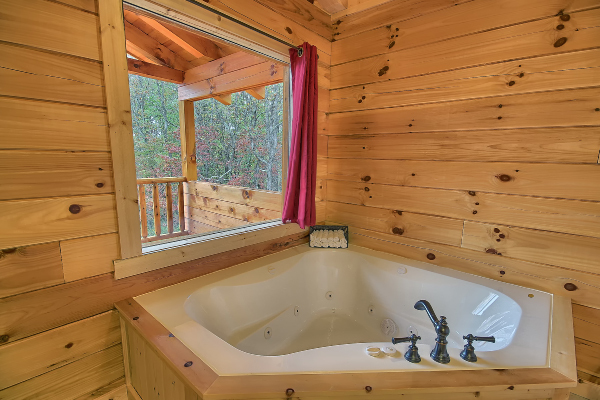 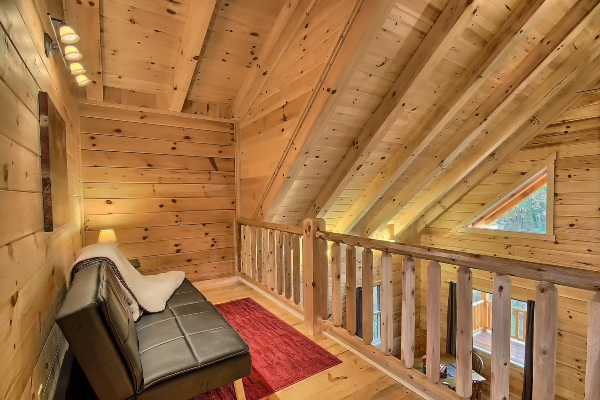 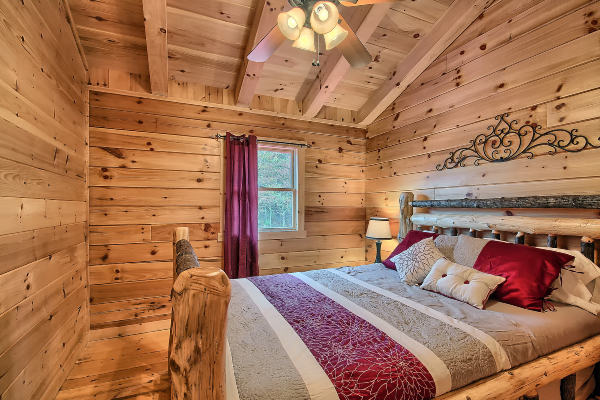 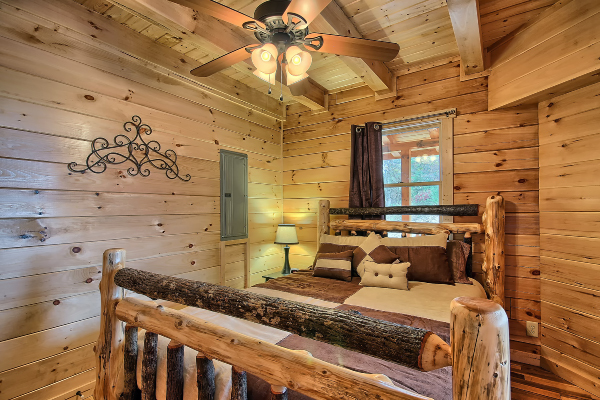 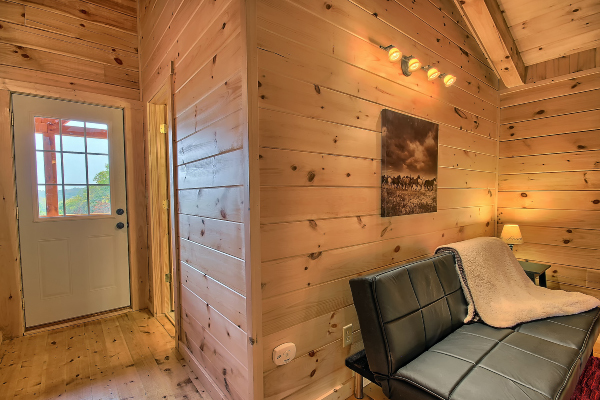 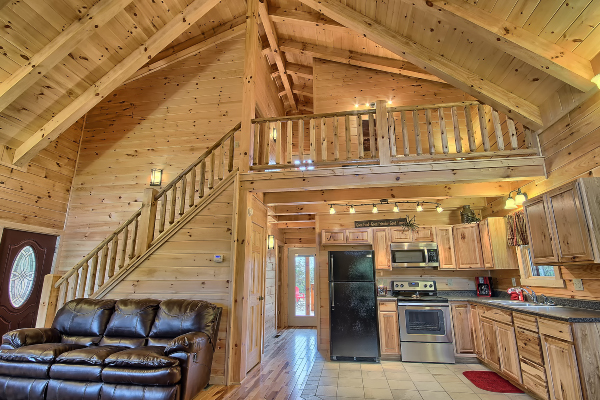 This two floor cabin offers plenty of room for your family vacation.The Lonestar features a master suite with queen size bed, a Jacuzzi, and its own private balcony, perfect for that early morning cup of coffee or a night of watching the stars! 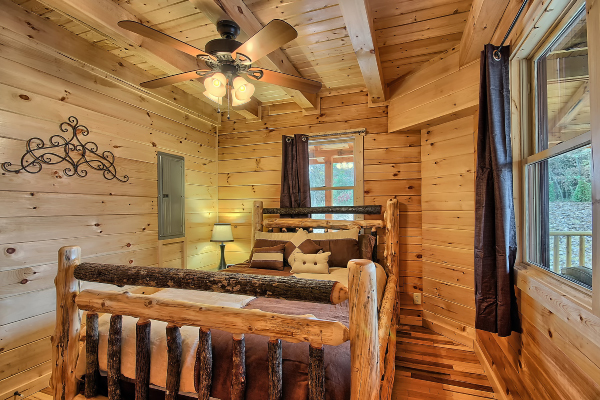 Has a bedroom with a queen bed and bath/shower on the main floor. 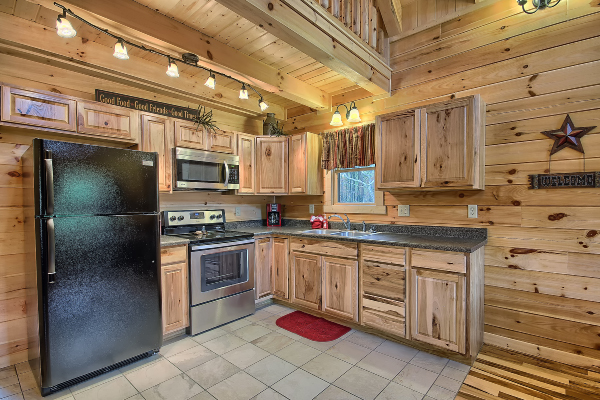 Also features a fully equipped, full size kitchen with everything you need to make this feel like home, including a waffle maker and blender. 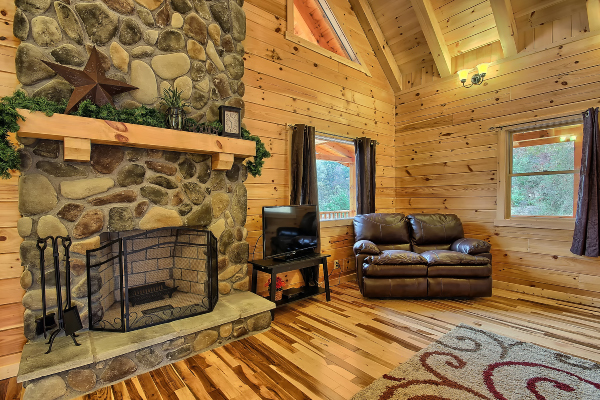 There is a real stone wood burning fireplace in the living room. 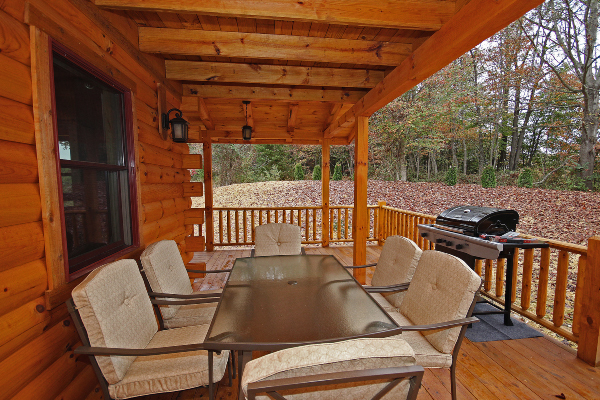 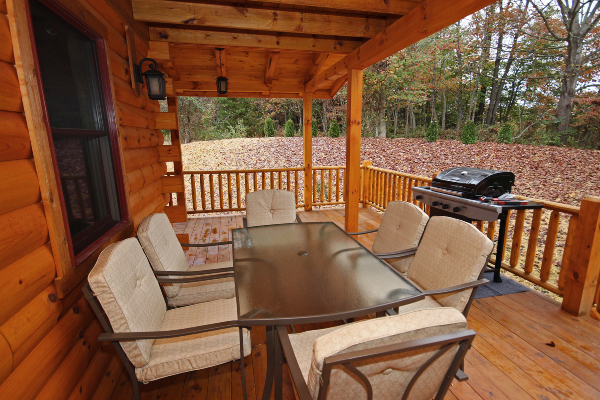 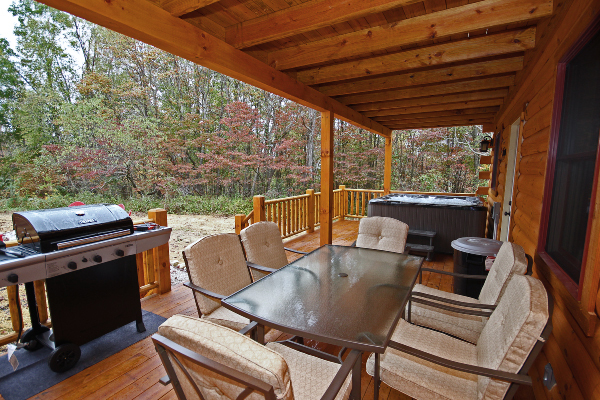 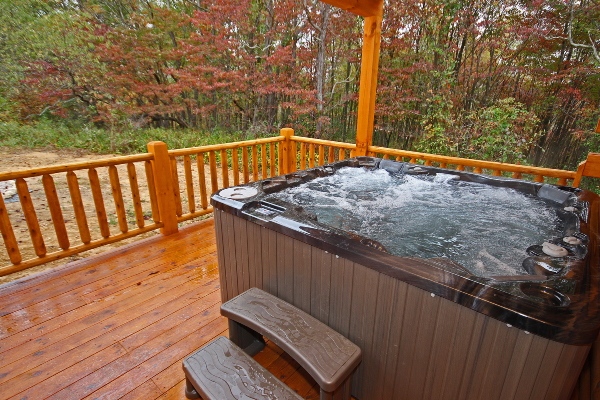 There are also huge decks on 3 sides of the cabin, a 6 person hot tub, a gas grill, and table and chairs. 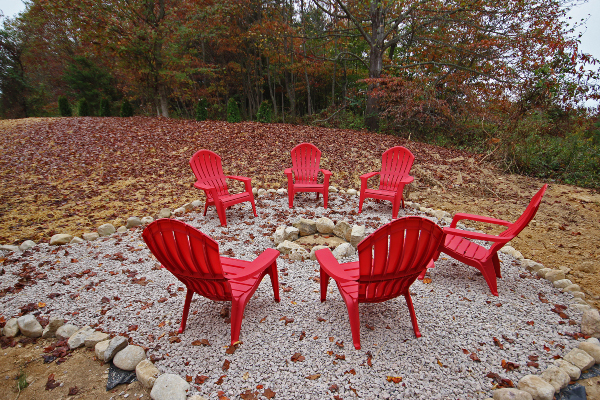 and an outside firepit. 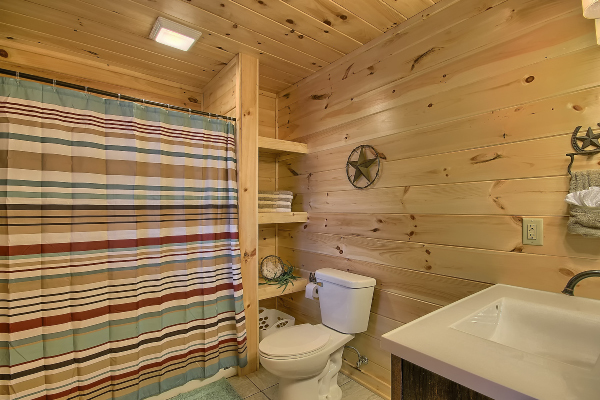 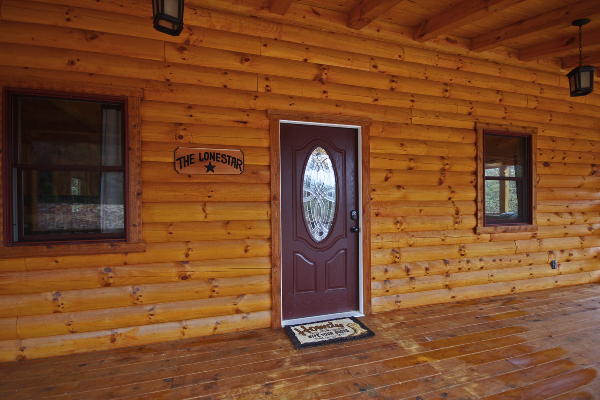 The Lonestar is the cabin for your perfect vacation.